The Hangzhou Internet Court rendered a copyright dispute judgment on June 27, 2018, which is the first time blockchain technology has been recognized as an admitted means of evidence in a civil law case. The dispute between the plaintiff, Hangzhou Huatai Yimei Culture Media Co., Ltd. and the defendant, Shenzhen Daotong Technology Development Co., Ltd. involved the unauthorized republication of an article originally published in the City Express newspaper. The article, published on July 24, 2017, described an incident involving a mother and her four-year-old son which took place in a swimming pool. The newspaper licensed the article for online publication to the suing company, Huatai Yimei. The website, First Female Fashion Network, owned by the defending company Daotong, published it without obtaining a license. The plaintiff was authorized by the newspaper to enforce online infringements and filed the lawsuit in January of 2018. The court’s ruling was based on verification of the chain of evidence regarding the plaintiff’s legal position, the allegation that the defendant had republished the article, and the court’s assessment of an adequate indemnity. In order to prove its claim, Huatai Yimei presented screenshots of the infringing website’s article. The article’s authenticity was demonstrated through a third-party evidence preservation platform called Baoquan.com that uses blockchain technology. The court, presided by judge Li Sha, elaborates with great accuracy how it concludes that the presented evidence, collected using blockchain technology, is valid. First, it examines whether the plaintiff and the third-party provider are unaffiliated on a corporate or shareholder level. Second, it analyses in depth how the technology used to capture the infringing content works and if the evidence could have been tampered with during this process. Baoquan.com compresses and packs screenshots, source code and invocation log, and stores the encryption hash value of the same on the Factom and Bitcoin blockchains. This leads the court to examine if blockchain technology as such is reliable, which it ultimately approves. The next step of the court’s reasoning is to check the hashes stored on both blockchains. It finds that they are numerically identical and their respective time stamps are in temporal coherence with the time of capturing the website content. Finally, the court compares the hash values of the evidence as provided by the plaintiff with the hash values stored on the blockchains and concludes that they are consistent. The Hangzhou Internet Court summarizes that electronic data saved and secured using technologies like blockchain should be analyzed and determined on a case by case basis with an attitude of being open and neutral. The data should not be dismissed, or the standard of determination thereof should not be raised, only because they are novel and complex. 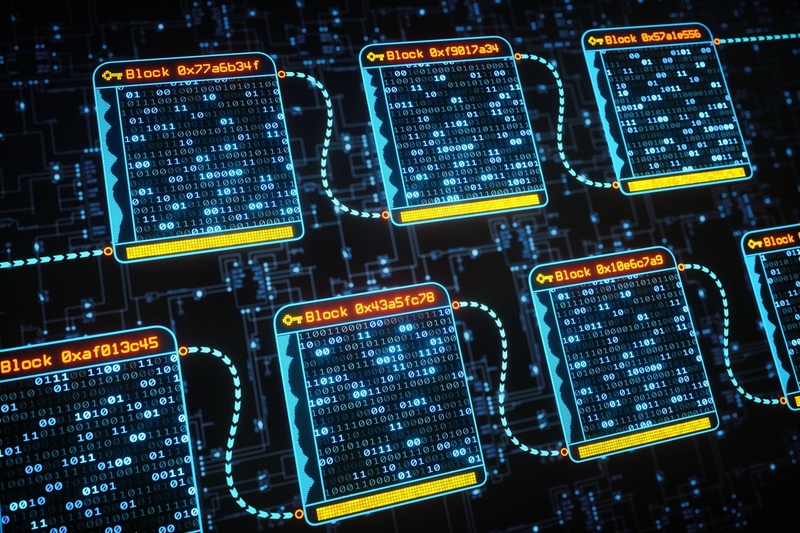 The effectiveness of blockchain technology evidence should be determined in a comprehensive manner, wherein the emphasis should be on examination of the source of electronic data and content integrity thereof, security of the technical means, reliability of the methods, legitimacy of formation, and degree of association with other evidence. The court concludes that blockchain technology satisfies relevant standards to preserve and secure electronic data and ensures the integrity of the same. A conclusion that can be drawn from the existence of specialized courts that work entirely online, but even more so from the fact that the Hangzhou Internet Court was the first to approve blockchain technology as appropriate means of evidence in an online infringement case, is that China has taken the lead in the digitization of the legal system. Click here to read a translated copy of the judgment. Dennemeyer closely follows developments in the Blockchain realm and collaborates with blockchain ventures that are specialized in securing intellectual property on the blockchain, namely Munich based Bernstein and Austrian start-up Vaultitude. For more information, contact us. The Chinese Supreme People’s Court established the new Hangzhou Internet Court in April 2017 which started hearing cases in August 2017. Besides Hangzhou, three further cyber courts were established in other Chinese cities. Located in the premises of the Intermediate People’s Court in the city of Hangzhou, capital of Zhejiang province, the Hangzhou cyber court is equipped with technology that allows litigants to handle a lawsuit entirely online. Plaintiffs can file cases and upload evidence online, and defendants are notified via text messages if the court accepts the case. The parties can even appear at hearings via video calls. According to the court’s website, a lawsuit can be filed in five minutes and the average court time for an online-related case is 25 minutes. The Hangzhou Internet Court handles 10 types of civil and administrative internet-related cases, including different forms of e-commerce disputes, intellectual property rights infringements, domain name conflicts, and violation of personal rights, which require a connection to the location of the city to fall into the jurisdiction of this court. The court is a district-level court. Typically, litigation starts with pre-trial mediation through Internet, phone, or video conference, before the case is formally submitted to the case filing division, and decisions can be appealed to the city's intermediate people's court. Hangzhou was not chosen accidentally. The city is home to many internet-based companies, including Alibaba which alone receives more than 4 million complaints from customers a year that often end up unresolved in court. Hangzhou courts handled approximately 10,000 cases in 2016 related to e-commerce and copyright. The Hangzhou Internet Court received more than 8,900 cases since its establishment. It must be mentioned that Alibaba’s parent company Alibaba Group provides most of the technical infrastructure to the court. For example, parties need to verify their identity via Alipay, the group’s payment service, if they do not wish to present their ID card to a Hangzhou court clerk in person. Consequently, it happens that Alibaba hosts the trial and is a defendant at the same time. Actually, the court’s website shows 45 disputes involving Alibaba companies and around 1,800 cases involving Alibaba’s consumer-to-consumer online marketplace Taobao, both, as either plaintiff or defendant. However, there is no indication that this would actually bias the court’s practice.